Preheat oven to 350F. Mix milk and instant pudding mix together until pudding gets thick. Add cake mix, oil and eggs to the pudding mixture and beat with electric mixer until fully incorporated. Stir in mashed bananas. Pour batter into a greased and floured tube or Bundt cake pan. Bake 45 to 50 minutes or until an inserted toothpick comes out clean. Invert hot cake onto a platter. 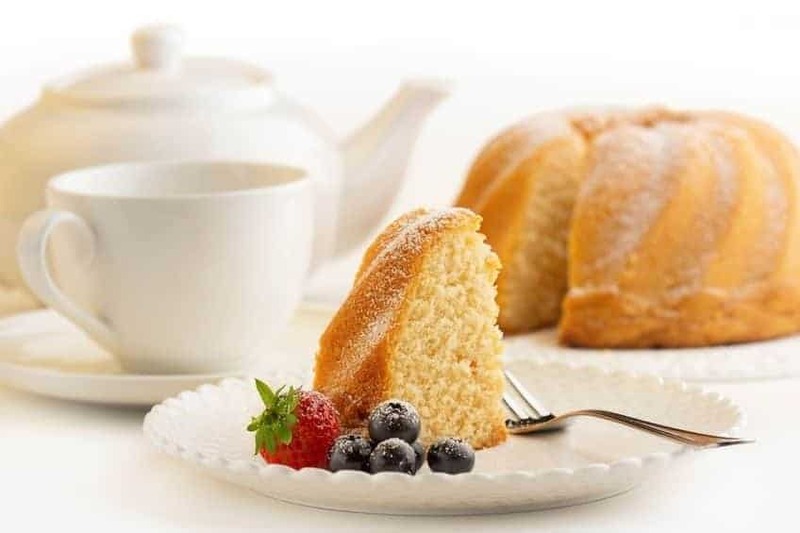 When cake has cooled, spread white frosting or sift powdered sugar over cake. Serves: 8-10. Remove ice cream from the freezer and allow to sit at room temperature until melted. Preheat oven to 350F. Lightly mist a Bundt pan with vegetable oil spray then dust with flour. Shake out the excess flour. Set the pan aside. Place the cake mix, melted ice cream, and eggs in a large mixing bowl. Mix with electric mixer on low speed for one minute, scraping sides of the bowl and then beat another two minutes on medium speed. Pour into the prepared pan, smoothing the top with the rubber spatula. Bake in the preheated oven until the cake springs back when lightly pressed with your finger, 38 to 42 minutes. Remove the pan from the oven and place it on a wire rack to cool for 20 minutes. Run a long, sharp knife around the edge of the cake and invert it onto a small rack, then invert it again onto a second rack so that the cake is right side up. Cool for 30 minutes longer. Frost with your favorite icing or dust with powdered sugar. Serves 8-10. Related: Let Us Eat Cake! Preheat oven to 350F. Grease and flour a 9×13 inch baking pan. Reserve 2/3 cup cake mix. Mix together remaining cake mix, butter, and 1 egg. Pat in prepared pan. Bake for 15-20 minutes or until golden brown. Beat together the remaining 3 eggs, vanilla extract, reserved 2/3 cup cake mix, corn syrup, and brown sugar. Pour over the cake in pan. Sprinkle pecans on top. Bake for 30-35 minutes longer. Yield: 24 bars. Preheat oven to 350 F. Dump pineapple and cherries into a 9×13 inch greased and floured baking pan and mix together with a fork. Top with dry cake mix. Evenly distribute diced butter over mix. Bake in preheated oven for 45 minutes or until brown and bubbling. Remove and serve warm or cold. Serves: 8. PREVIOUSLY: Keep the House Cool This Summer Without Blowing the budget.